Welcome back to Inside the Producers' Studio. 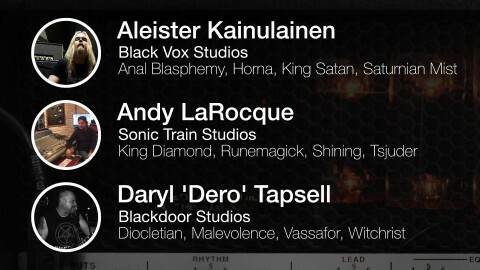 In this series, top producers from across extreme metal will share their knowledge and wisdom about recording and production. 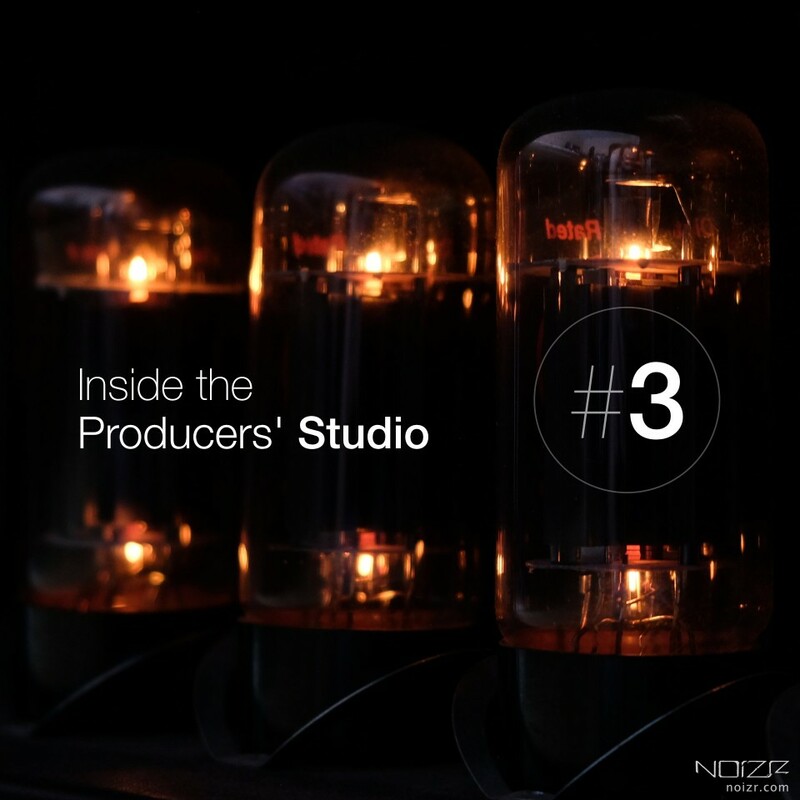 We’ve hand-picked some of the best and most interesting producers; some from large studios others from more niche circles, whatever their situation, you’ll be sure to pick up tips and get an insight into the minds that are shaping metal in the current era. The first article was dedicated to studio set-up and the second one was about pre-recording. This third article is focused on how different producers record and capture drums for the best sound possible. Do you use drum replacement software? If so which? Aleister Kainulainen: Not really, 90% of my projects are black or death metal recordings, and with them I try to be as organic and natural as I can be. I try to work with an old school mentality; work with real sound and real takes if not completely, then as much as possible. If drummer have wanted to use trigger, I have talked him out of it always. With enough patience by just only positioning the mics you can do a lot of difference to the sound, even if drummer is having bad quality drum set, hah. One exception is though one of my two bands, King Satan which is industrial metal and where I sample recorded drums together in timeline, and if some drum replacement is needed, I have used the standard softwares that comes with Cubase, Logic and Focusrite to work with frequencies only, but not with the "main sound". In other words, if I lack some bass frequency from recorded bass drum, I might add it there without losing the recorded audio. I don’t like triggered sound, or midi-based sound or any kind of sound that doesn’t include the magick of the drummer in all its varying degrees of volume, intensity what not, basically something that makes the drummer’s style his own. Andy LaRocque: Yes, I usually go for Slate trigger 2 and even Avid’s drum replacer, but not very often. For the Slate Trigger software, I use some of my own sampled drums/library. Daryl Tapsell: To be honest I try not to — but it does depend on the project. Since I predominantly use Pro Tools I have used the Sound Replacer plug-in for a long time. I also bought Steven Slate Trigger on sale which is great for real-time processing and recently SPL DrumXchanger but I haven’t used it yet. It's funny that I have so many because I hardly use them on the projects I work on. When I hear that kind of production I find it difficult to enjoy the music — it's like someone is furiously typing in the background (he says furiously typing). It sounds like pop music to me and metal should be the antithesis of pop! How often (if ever) do you blend drum sounds with samples? Aleister Kainulainen: With one band I do it constantly, but that happens to be my own band (King Satan) with what I want to experiment a lot outside of the box. And couple of times as a producer. Other than that, I want to work with real sound and real takes as much as possible, if not completely. Andy LaRocque: In about 90% of my sessions, it depends on the original sound and music style etc. and the percentage of the mixed in samples, depends on phase, original sound etc. Daryl Tapsell: If I end up using sound replacement I inevitably blend it or I try to make it sound like it hasn’t been replaced — see rant above :) Sometimes, if the drummer is playing so fast that they aren’t hitting hard enough I will add attack by taking a clean hit from the session and blend it underneath to accentuate, but it has to sound natural or I ditch it (I always record clean hits in the session at the end as a back up — especially long cymbal hits in case the band want to lose a mid-song count-in or noise after the end when the cymbals are fading). What microphones do you use for recording drums? Aleister Kainulainen: I have used a setup of Audix DP5 and FP7 drum microphones in almost all recordings that have taken place since 2013. Depending on the projects, drum sets, drumming style and the music I have added something, or taken something away. I used to record the room sound where the drums echoes naturally, with extra microphones sometimes on top of everything. For that I did use Blue ball microphone, which was very cheap (like 100 euros if I remember right), but very good quality for this purpose. Sometimes I use SE Electronics Condensator microphones for overheads for cymbals, since it has some quirky own sound that is suitable for certain type of cymbals (to be polite, low quality ones). I don’t have any standard procedure really, I want to find the sound with the musicians. Andy LaRocque: For kicks, I’ve been using AKG 3600 (dynamic) but mostly a Shure SM-91, and lately combined with a vintage Sennheiser MD-421, snare drum: Beyer 201 and toms — Sennheiser MD 421 or Sennheisers 504. For overheads and ride, hi-hat, I use Neumann KM184 and Royer 101’s and for room — a vintage MD-21. Kick Out: BeesNeez JADE large diaphragm tube condenser microphone (a U47 type Australian design) but I have used other large diaphragm condensers in the past, or sub-kick speakers, or any kick voiced mics. I just happen to like the Jade for this right now — although I did just make a new sub-kick from an old speaker so I’m keen to try that next. If the drums are very fast or have a lot of fast double kick I use this mic less as there will be no time for the bass note to develop and it can become a "drone" although sometimes I will gate the kick-out keyed from the "kick-in" track to provide a short bass pulse if necessary. Different recording techniques are required for different bands. Snare: I use a variety of mics which seems to change session by session although I am a fan of pairing a dynamic and a condenser mic on top. I usually set up and listen to the snare through a few mics until I am happy with one over the others. So for dynamics I try AKG D1200E, Sennheiser E604 or E904, Shure Beta 57A, AKG D19c, Electro-Voice RE16. (I like the sound of SM57s but they are too fragile) I generally use and AKG C451EB with an inline pad for the condenser pair, so I’m listening to the body of the sound in the dynamic and the stick attack and resonance in the condenser. Occasionally I will borrow an Audio Technica AE2500 for snare top as it has a phase aligned dynamic and condenser capsule in one package — it's a bit bulky though. I usually throw a small diaphragm condenser on the snare bottom too — either AKG C451EB, BeesNeez Lulu FET, or Oktava MC012. I sometimes throw a SM57 or Sennheiser E604 on if I am using the condenser’s somewhere else. Toms: Pretty much Sennheiser E604/904 these days. I used to use AKG C408/418s but they became temperamental. I like SM57s and Sennheiser 421s for this role also. I usually mic floor tom bottom as well for extra depth if they are used to punctuate (eg big hits with long notes). Hi Hat: Mostly I’ll use an AKG C451EB or an Oktava MC012 — I’ll often cut this track in the mix unless there is some missing detail in the overheads. Overheads: These change a lot depending on the drummers set up. If they have a lot of cymbals and toms I will go with a wide AB spaced pair (large diaphragm condensers — Mojave MA200, AKG C214, Neumann U87) sometimes with a centre mic to help out (Neumann U87 usually). If the kit is more sparse I might use XY with small diaphragm condensers (BeesNeez Lulu FET usually) or do some variant on Glyn Johns or Recorderman techniques. It also depends on whether I am trying to record the whole kit mainly through the overheads (great for a raw live feel but requires an excellent drummer in control of their own dynamics) or a supporting role adding ambience and accents to glue together the close mics. Does the number of microphones you use ever change based around the band you’re recording? Aleister Kainulainen: Yes. Like said earlier, I have not any standard procedure, but I want to find the sound together with the musicians. I don’t believe in factory line / assembly line kind of production and ready setups. This is also by the way the one of the reasons why I do not take so many projects to work with. But for drum recordings, it all depends on the style of drummer, musician, and used drum set. I have recorded drums from 4 microphones (bass, snare and two overheads) all the way to 16 microphones which in retrospect was kind of exaggerated since I ended up using only 12 of them. Usually I survive with 8 mics with most of my projects. Andy LaRocque: Oh yes, it totally depends on what music style and of course how big the drum kit is. Sometimes I’ve been using just 4-5 mics. What is your best tip for getting the best sound from a kit possible? Aleister Kainulainen: I guess the best tip is to make the drum set sound to your ears the way you want it to sound in the record, tune the drums, damp the snare, damp the bass drum etc. Then when you record, if it sounds different than it is, you have positioned microphones poorly, or you have bad microphones, or you have bad pre-amps. The fault is anyway with your equipment then, most of the time at least. But also, make sure the place you record does not distort the sound, which is why the sound proofing, or lack of soundproofing, wooden cabins are great also btw — depending what kind of drumming you want to be captured. There are so many variables when recording drums that I cannot give one best tip. Andy LaRocque: A good hard hitting drummer will make almost any kit sound good, but of course a good kit with tuned toms and quality cymbals is essential to make a good sound. Daryl Tapsell: Great drummer, well-practiced on a good sounding kit with new skins, tuned well to the drummers preference that sounds great in the room — start changing any one of these factors and you need to do a lot more work in the mix. What would you like to see more drummers do to prepare for recording and ensure they get the best takes possible? Aleister Kainulainen: That they put efforts in their drum sets. Better quality drum set sounds always better when recorded. Especially the difference between the quality of cymbals is massive when you go higher to the price range. And also, know your instrument. Don’t expect all the magick coming from post-production. Without the human factor, it would be same to program drums with computer completely because drum machines can even pretend "human playing" these days. It won’t be the same though. Always have human factor. Andy LaRocque: Rehearse and practice to the song with a clicktrack if possible, and not make things too complicated, usually simpler drum rolls and beats will win over technical stuff that’s played over the ability! Daryl Tapsell: Practice. Record yourself and listen back to it. Demo the songs in rehearsal. Most drummers (and musicians generally) make a lot of small errors live which is fine — in the studio it can be costly and frustrating. Don’t concentrate on not making mistakes, concentrate on recovering flawlessly! What are your thoughts on tuning drums to match a songs tuning? Aleister Kainulainen: I've never done that, but I will have to try this one! Andy LaRocque: I don't worry about that too much, unless there's a special passage or so that needs special attention to the tuning. Daryl Tapsell: My general feelings about tuning a drum kit melodically is fear and loathing. Either the band is playing in a single key in their live set or the drummer retunes for each key and plays little riffs on the drums (yawn). The drums are a rhythmic instrument and as such don’t need to match the harmonic and melodic instrumentation. Should we be autotuning death growls? Maybe I just don’t know how it works but my understanding of drums is to have them sounding good when they are played together, [A lot of people have their toms tuned in minor thirds to each other for example and it is nice if you can minimize each drums’ interaction with each other so that no drum starts another sympathetically resonating — maybe every drummer should tune their kit to an E diminished arpeggio :)]. I like the kick to be tuned to its lowest resonant note balancing the batter head tension with the drummer’s preferred playing feel, and the resonator producing a satisfying low tone then I generally dampen it. The formants of the kick are quite low and as such quite difficult to pin down melodically and the attack is too short-lived to interfere. Toms are often processed in the same way (I try to tune them the same way too) and the individual notes are mostly too short to matter and the overtones controlled and low. The snare is probably the one to watch out for the most as it can have an overtone which interferes and if that is staying in the mix it needs to be addressed with tuning, some damping and/or processing as necessary.